Jesus’ exemplified a ‘heart of humility’, the sweet and lowly gentleness recognised as the mark of the Lamb of God.” Jesus, the Lord of all, became the servant of all. 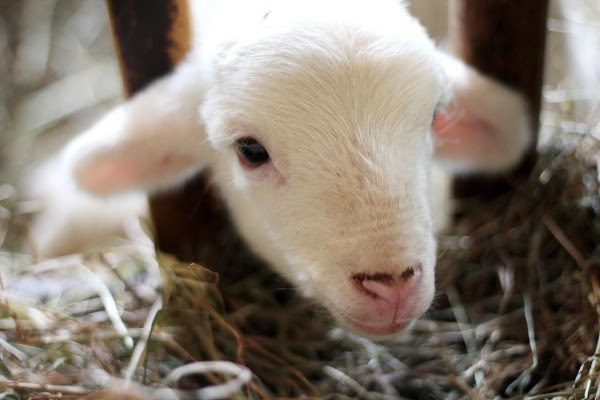 As we approach the end of the age, we must see and encounter the face of Jesus as the Lamb! Twenty-eight times in the book of revelation, Jesus is revealed as the Worthy Lamb! Do we really comprehend what Jesus did for us when He became a man on His earth? The extent of His love for us. How do we respond to such love? This entry was posted in Easter 2018, Passover Lamb and tagged God's judgement, God's love, Lamb of God, passover. Bookmark the permalink.